canta basil Archives | What Should We Do Today? If last weekend was the weekend of the fall festival, then this weekend officially begins pumpkin season! I got so excited just typing up this list! I love these fall activities and wish we could visit every pumpkin farm! So many hay rides, so little time! 😉 Happy Weekend! This Saturday’s market will feature one-day-only, fun flavors from Impossible Jams and Alice’s Aebelskabel’s and Pitabilities are the food trucks that will be featured! Also, Scott Brooks and his Trio of One will provide live music! This event is specifically for kids in grades 4-6! The Thurber House will be hosting this writing workshop encouraging young writers to write spooky tales! They will also be telling the Thurber ghost story and helping young writers hone their craft! You must register by THURSDAY (9/29/16)! This day is host to several educational sessions and events about archaeology, history, and art as well as hands on activities like creating a mural, making replicas of American Indian pottery, hands-on archaeology Fascination Stations, spear throwing demonstrations and more!  See what else there is to do at the Ohio History Center here! If you’re looking for a road trip this weekend, the Cleveland Metroparks is hosting this free festival celebrating traditional handicrafts! Free activities include rug braiding, butter churning, cider pressing, pioneer toys, candle making and more! There will be a live folk music performance and other activities are scheduled throughout the day, see the website for more details! 5. Haunted Greenhouse Maze at deMonye’s Greenhouse, Inc. This is a kid-friendly haunted maze recommended for ages 3-14 and is actually open the whole month of October! Kids get to pick a pumpkin, plant a pansy and make a witch’s hand with popcorn! Cost is $8 per child. See more details here or click on the link under the event on this page to see pictures of what to expect! 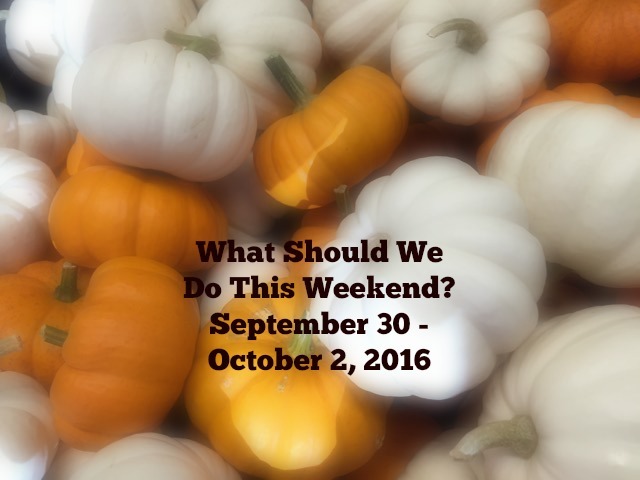 This weekend, and all the weekends in October, there will be hayrides, kettle corn, campfire foods, scarecrow making, a petting zoo and apple butter making! Admission is free, but there is a charge for some activities. There is a really long list of activities going on throughout all of the weekends in October at this pumpkin farm in Delaware County! There will also be food, free hayrides from 12:00 PM – 5:00 PM and pumpkin picking! Admission is free but some activities have a cost. An all day activity band is $9. This year is the 40th Annual Fall Festival! Enjoy activities like making pumpkin holes and caramel apples, cow milking demonstrations, Cowvin’s Corny Maze and more! Besides the corn maze, this weekend there will be pony rides, balloon sculptures, face painting and the movie It’s The Great Pumpkin Charlie Brown will be shown on Saturday night! Leeds Farm offers fall fun every weekend throughout October, but this Sunday only there is a giant pumpkin carving! Visit the farm all weekend to see animals, pick pumpkins, zip line, take a hayride, go down mountain slides, ride pedal tractors and so much more! This is the final jazz concert of the season featuring a Brazilian jazz band! The Aromaku food truck will be onsite as well as J-Pops popsicles! This concert takes place in Harrison West Park where the playground is great for toddlers! Take part in mid-19th-century traditions like churning butter, leather tooling, rope weaving and blacksmithing! Visit the one-room schoolhouse, log cabin, general store and more on the property! There will also be actors in costume, demonstrating traditional music and cooking! This is a free event (also at another great park for toddlers)! *Looking for more fall fun? You may want to check out these posts from Columbus Moms Blog: Family-Friendly Fall Festivals in Columbus, Columbus U-Pick Apple Orchards and Central Ohio Pumpkin Patches!